Addisleigh Park is a small historical landmark district located within the town of St. Albans. Established in the late 1900’s by white entrepreneurs Edward C. Brown, Gerald C. English, and Alexander Rodman. These developers restricted the sale of their properties to blacks in this area. The shift occurred in the emergence of the Swing Era in the late 1940’s which attracted many jazz musicians. Pictured is the former home of the Godfather of Soul, James Brown. 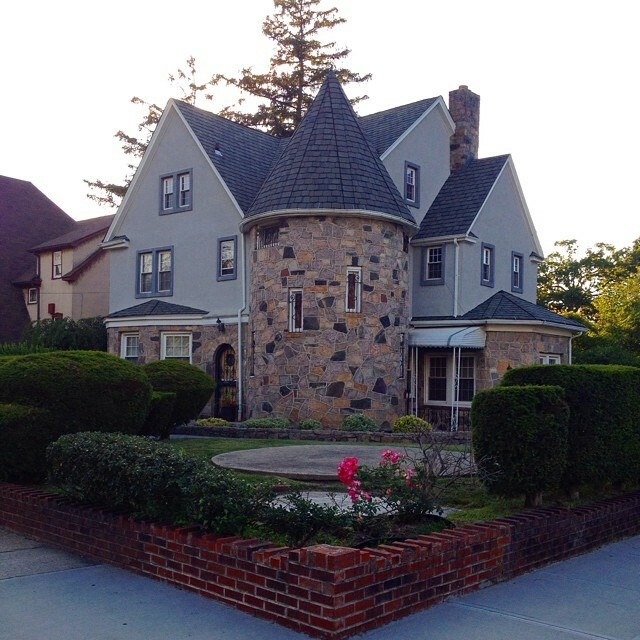 Located at 175-9 Linden Boulevard, this house is considered the crown jewel of Addisleigh Park. The greatest baseball player ever, Babe Ruth moved out of Addisleigh Park in the late 1930’s. Arverne by the Sea is a middle class housing development in the Arverne section of the Rockaways. The $1 billion dollar development located between Beach 62nd Street & Beach 80th Street, broke ground in 2002. 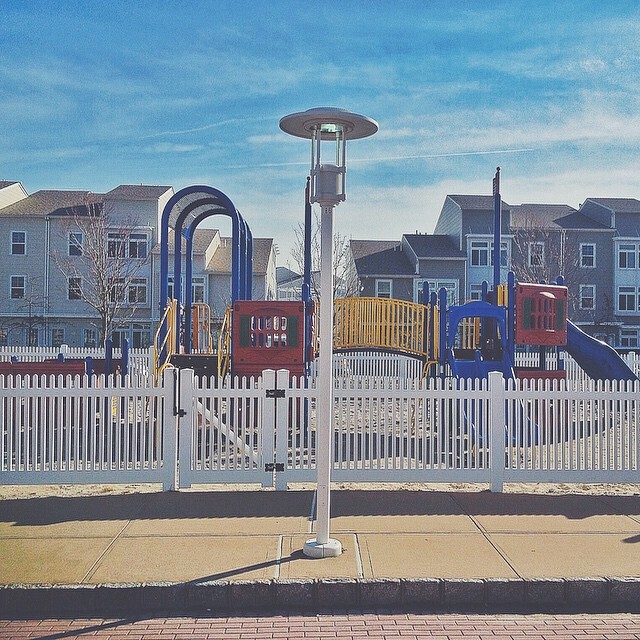 Pictured is the Arverne by the Sea children’s sand playground located in the middle of the complex. The playground is only available to residents of the development. During Hurricane Sandy, Arverne by the Sea was one of few low rising housing areas to sustain very minimal to no damage. Astoria is a middle class primarily Greek neighborhood in northwestern Queens. Named after America’s first millionaire John Jacob Astor in 1839, Astoria was and still is a highly commercial and industrial town. The first settlers of Astoria were Dutch and German, but today the neighborhood is a true melting pot. Although primarily Greek, Astoria boasts heavy accents of Italy, Albania, Bangladesh, The Middle East, Brazil, and Mexico. Pictured is the Beer Garden at Bohemian Hall, located on 24th Ave. 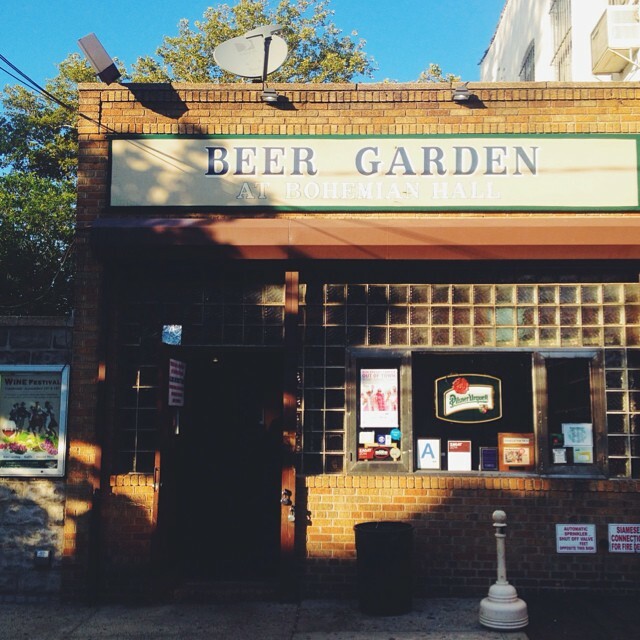 The German establishment opened in 1919, making it the oldest beer garden in all of New York City. According to Census, Astoria suffered a population loss of over 10,000 residents, the greatest loss in NYC. Astoria Heights is a middle class sub-neighborhood of Astoria, also known as “Upper Ditmars”. The neighborhood is bounded by Hazen Street and Astoria to the West, LaGuardia Airport to the East, Bowery Bay to the North, and Astoria Boulevard and the Grand Central Parkway to the South. Pictured is the entrance of the Francis R. Buono Memorial Bridge, or the Rikers Island Bridge, located off of Hazen Street. 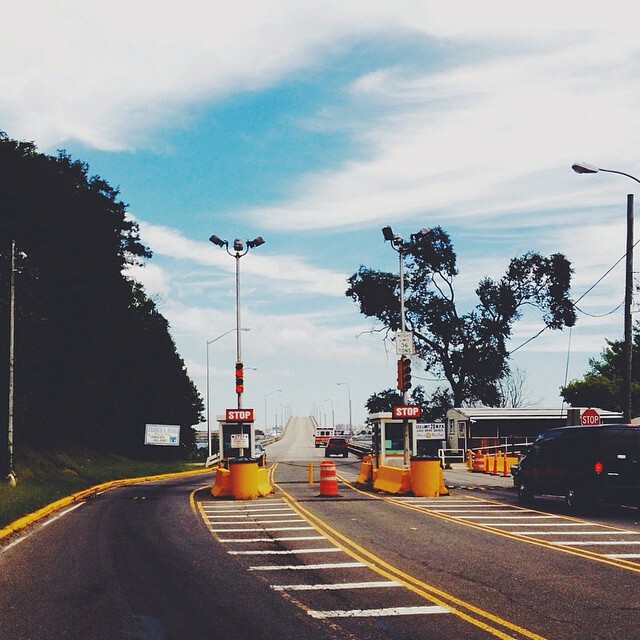 Before the bridge opened in 1966, access to Rikers Island was by ferry only. The Riker-Lent Homestead, 78-03 19th Road is believed to be the oldest remaining dwelling in New York City still used as a residence. Astoria Houses is a low-income New York City Housing Authority development. It is bordered by 27th Ave, 8th Street, Hallet’s Cove and the East River. Astoria Houses was completed in 1951. It consists of 22 buildings, 1102 apartments and houses 3,135 people. Astoria Houses sits on Hallets Point, a peninsula that juts out into the East River. Pictured is the entrance to Hallets Cove Playground located at Vernon Boulevard and Main Ave. Hallets Cove features a basketball court, children’s playground and handball courts. Hallets Cove is also an official kayak/canoe launch site. Former NCAA basketball legend & WNBA All-Star Chamique Holdsclaw was born and raised in Astoria Houses. Auburndale is an upper middle class, predominantly Asian neighborhood located in Northern Queens, bounded by 162nd St, 48th Ave, Francis Lewis Boulevard & 32nd Ave. Auburndale was named in 1901 after the hometown of its developer L.H. Green, Auburndale, Massachusetts. The Auburndale Long Island Rail Road station was built in 1901, and is the reason the town was created. 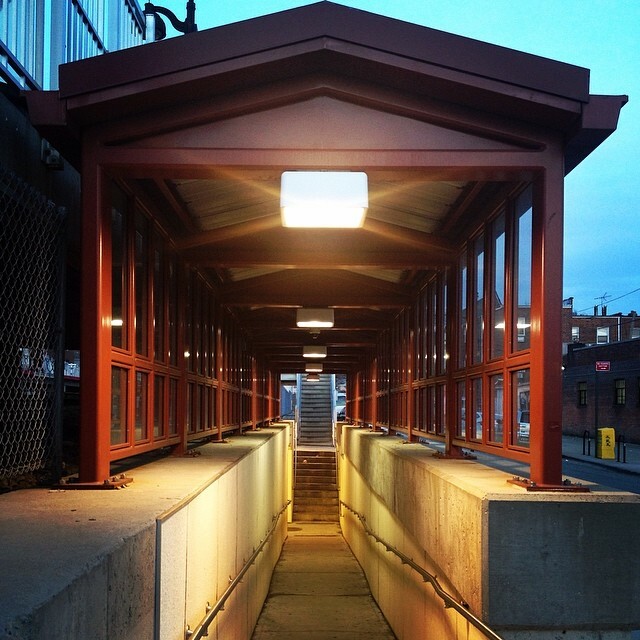 Pictured is a vestibule for the Long Island Rail Road Auburndale station, located on Station Road. In 2009, Martins Field on 46th Ave, was renamed Olde Towne of Flushing Burial Ground honoring hundreds of African Americans & Native Americans buried there in the 1800’s. 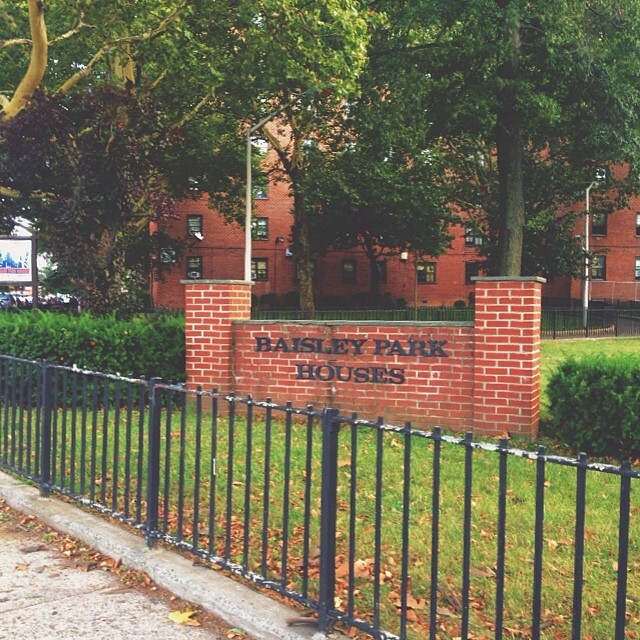 Baisley Park Houses is a low-income New York City Housing Authority development in South Jamaica Queens. Baisley Park Houses is made up of five 8-story buildings with 385 apartments housing an estimated 1,057 people. Completed on April 30, 1961 it is on 7.48 acres bordered by the Long Island Rail Road, 116th Ave, Foch & Guy Brewer Blvd. For the past nine years nearby Baisley Pond Park has hosted the highly popular Southern Queens Gospel Fest. Pictured is the brick facade sign located at the corner of 116th Ave & Guy Brewer Boulevard, considered by most the unofficial main entrance to the Baisley Park Houses. In the 1980’s, the Supreme Team ran one of NYC’s most lucrative drug operations out of the Baisley Park Houses. Bay Terrace is an upperclass sub neighborhood of Bayside. The area was developed around the Bay Terrace Cooperative Apartments built in 1950, then subsequently the Bay Terrace Shopping Center. Bay Terrace overlooks the East River and the approaches to the Throgs Neck Bridge from the Clearview Expressway and Cross Island Parkway. 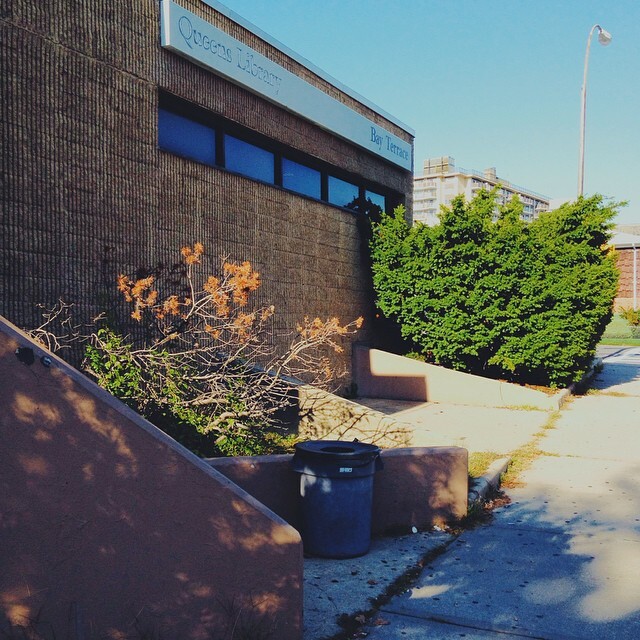 Pictured is the Bay Terrace Branch of the Queens Borough Public Library system. The Bay Terrace Library offers theater workshops for local teenagers. G Unit rapper Tony Yayo is a registered Bay Terrace resident. Bayside is an upperclass neighborhood in Northern Queens. This area was settled by the Matinecock Native American tribe back in 2000 B.C. It wasn’t until the late 17th century that it was taken over by English settlers, who named the area Bayside in 1798. In the 1920’s a rumor that a major studio was going to be built in Bayside, saw an influx of actors lead by Rudolph Valentino into the area. When the studio never materialized, most left to Hollywood, California. 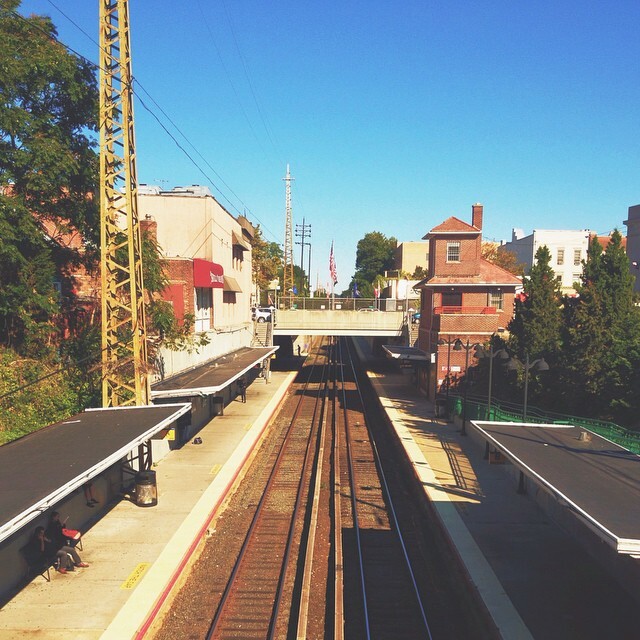 Pictured is the Bayside Long Island Rail Road Station located off of Bell Boulevard. A railroad has run here since 1866, but it didn’t officially become part of the the LIRR’s Port Washington Branch until 1896. 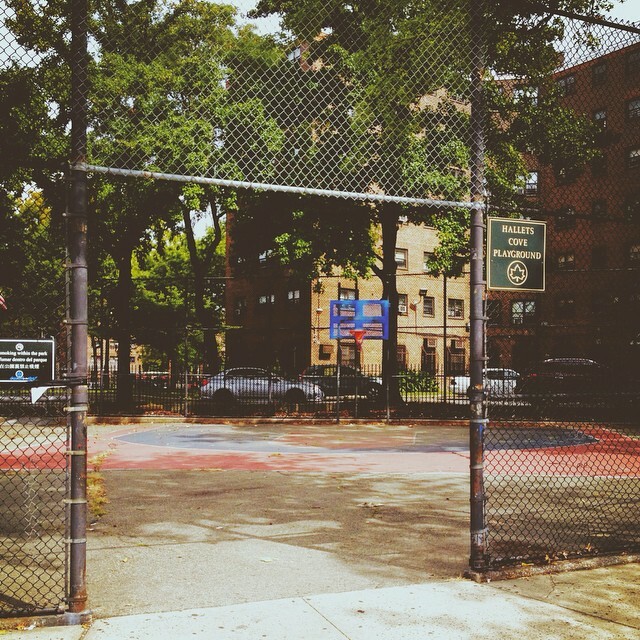 Bayside is home to the reigning 2014 New York City Public High School Basketball Champions Cardozo High School Judges. Bayside Gables is a privately owned gated community established in 1927. 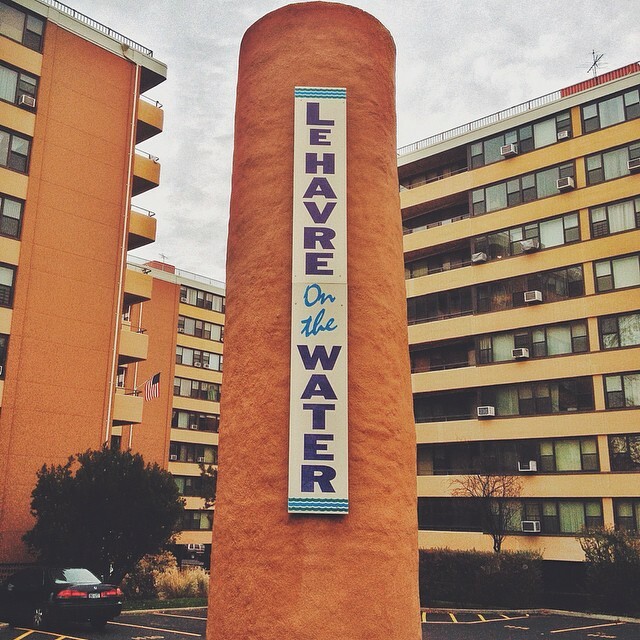 It is located near the Bay Terrace shopping center and Little Neck Bay. 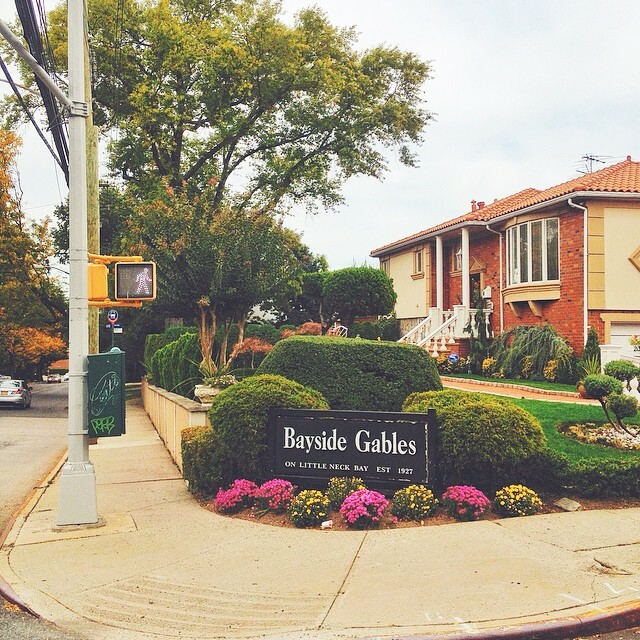 Bayside Gables is the wealthiest sub neighborhood of Bayside, Queens. Pictured is the Bayside Gables welcome sign located off of Bell Boulevard. Homes in this area range from $1 million to $4 million dollars. As per The Bayside Gables Civic Association, graffiti is a popular complaint. Bayside Hills is a upper middle class sub neighborhood of Bayside. Bayside Hills is commonly confused with Oakland Gardens primarily because they share the same zip code 11364. It is known mostly for the Bayside Hills Malls, which consist of 33 street malls that run through the core of Bayside Hills. Pictured is the Colonial Church of Bayside. 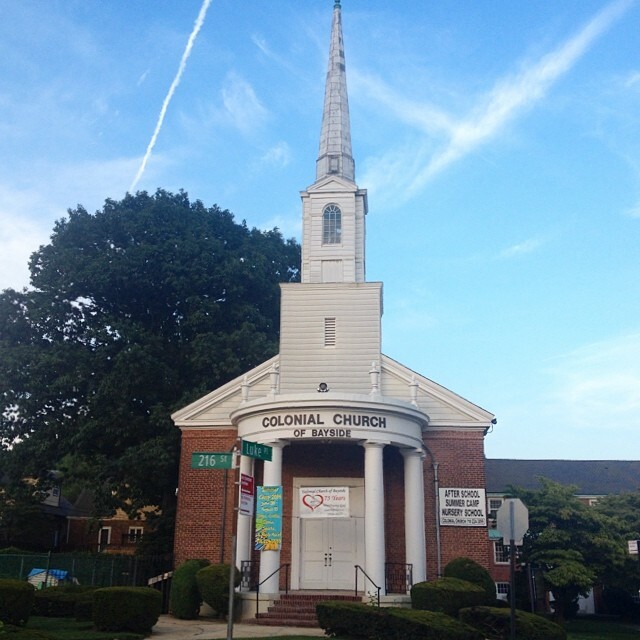 The Church is located on corner of 216th St & Luke Place & has been a mainstay in the community since 1938. On July 25th 2014, it was reported that 5 city owned trees were killed. The Parks Department is working with the police to investigate the killing of the trees. Beechhurst is an upper class neighborhood in northern Queens. Beechhurst is northeast of the Whitestone, bordered by the East River, north of the Cross Island Parkway and between the approaches to the Throgs Neck and Whitestone Bridges, and also bordered by the west-most section of the Long Island Sound. During the silent movie era, Beechhurst was a favorite vacation spot for the rich and famous. Pictured is the LeHavre on the Water Cooperative located off of Powells Cove Blvd. LeHavre was designed by George Miller and built in 1958. LeHarve converted from luxury rental apartments to co-op on September 12th, 1984. Residents of Beechhurst have access to their own private beach, Beechurst Beach. Bellaire is a mixed working class sub neighborhood of Queens Village. Bellaire, zip code 11429 is 1/3 of the greater area known as Queens Village. The other 2 sections are Hollis Hills 11427 & Queens Village Proper. Pictured is the famed Bellaire Theatre. The Bellaire opened sometime in the early 1920’s & ran until the late 1950’s. 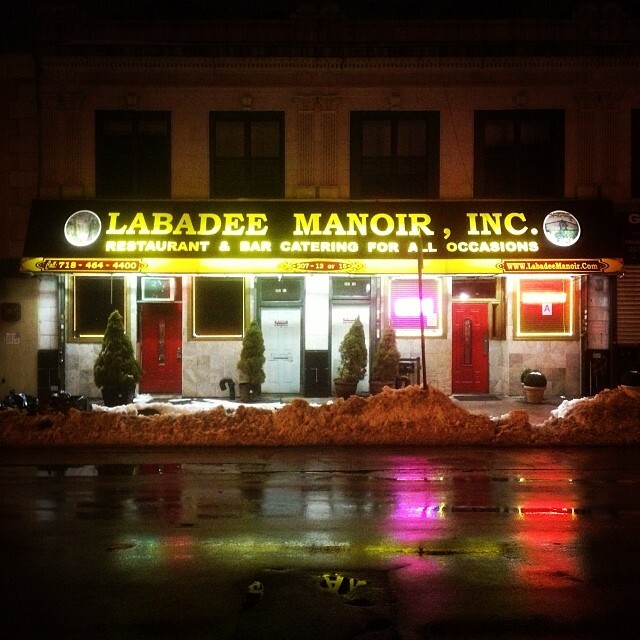 Some remember its heyday when Lauren Bacall used to stroll down the red carpet on Jamaica Ave. Today the old Bellaire Theatre is now the Labadeer Manior Restaurant which offers Haitian fare, and appeals to the area’s influx of West Indian residents. Bellaire is the largest area of Queens Village, which some residents have affectionately tabbed, Shadyville. Bellerose Manor is a middle class sub neighhborhood in Queens Village with a strong Indian American community. There are 3 communities that make up Bellerose. The incorporated village of Bellerose, Bellerose Terrace, technically located in Nassau County, Long Island & Bellerose Manor which is considered an extended section of Queens Village. 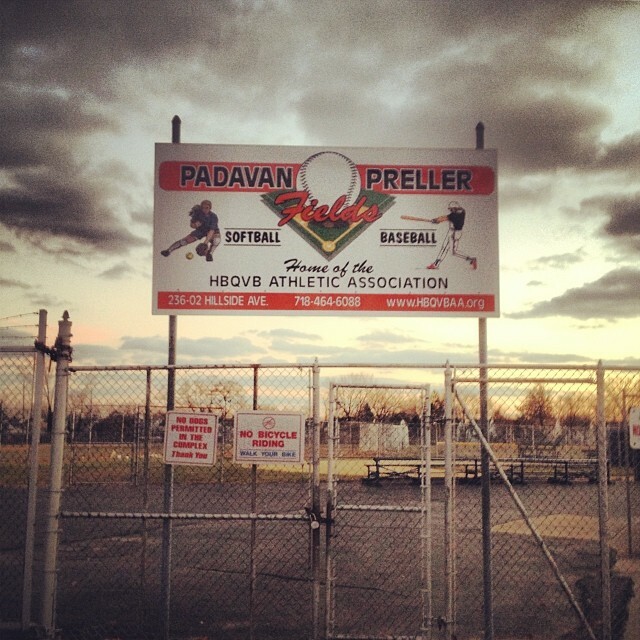 Pictured is the Padavan-Preller Fields located off Hillside Ave. Padavan Preller Fields is home to Hollis-Bellaire-Queens Village Baseball Association, or HBQVB. HBQVB is a state certified baseball organization founded in 1954. Padavan-Preller Fields sits on 14 acres, and features 9 immacutely tailored baseball fields. On April 27, 2011 rising political star Anthony Weiner threw out the league’s ceremonial 1st pitch (pre Carlos Danger scandal). HBQVB’s own Mike (The Terminator) Baxter caught the last out of the New York Mets 1st ever no-hitter on June 1st 2012. Bland Houses is a 6.19 acre low-income New York City Housing Association development with 5 buildings featuring 400 apartments that house almost 900 residents in Flushing. The Bland is located on the outskirts of Downtown Flushing. Bland Houses is named after James Alan Bland an African American music composer & minstrel singer in the late 1800’s, who is a native of Flushing. Bland was known as the “World’s Greatest Minstrel Man.” The Bland is located on the outskirts of Downtown Flushing. 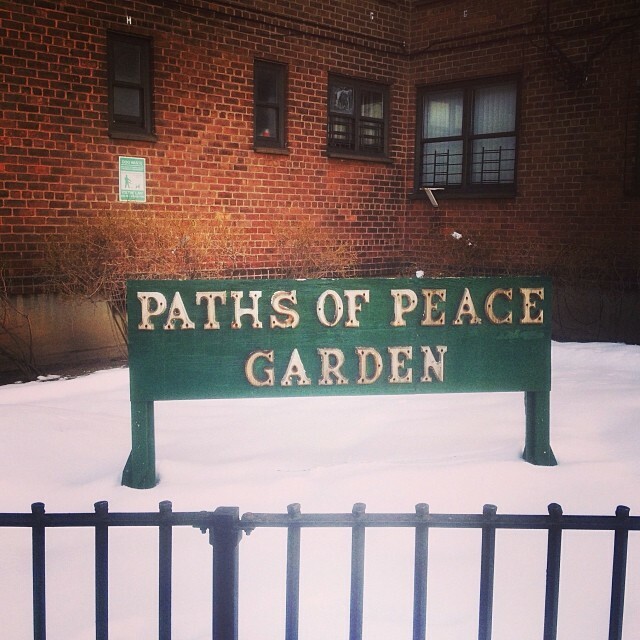 Pictured is the Paths Of Peace Garden located on the border of College Point Boulevard & Roosevelt Ave. The Garden was created by tenant Gloria Florez, after a couple of violent shootings in 2011. Money Monsters Inc. holds an annual summer barbecue in the Bland Houses.